Set along Rue Saint Sulpice in Montreal's historic quarter, Le Saint-Sulpice Hotel Montreal offers an all-suite setting tucked behind Basilique Notre-Dame de Montreal. 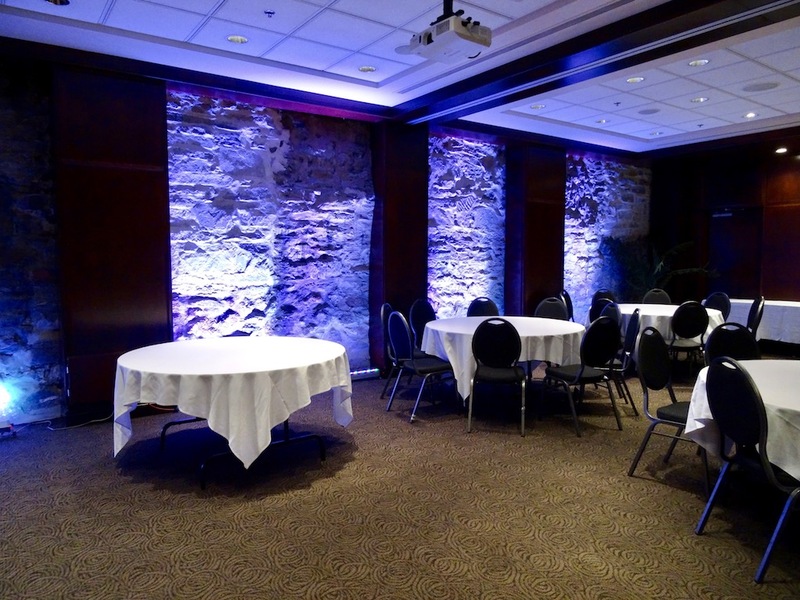 Adjacent to the Sulpician Gardens and a quiet religious community, the hotel was built around historic stone walls that can be seen in some of the hallways, event spaces (photo below), and select suites. Recently, Five Star Alliance had the opportunity to stay at the property. Continue reading about the experience below. From the moment guests step inside from the cobblestoned streets of Old Montreal, the hotel encourages visitors to "Indulge Your Imagination" through cinema, art, and literature. This theme is infused throughout the hotel within artwork and music. 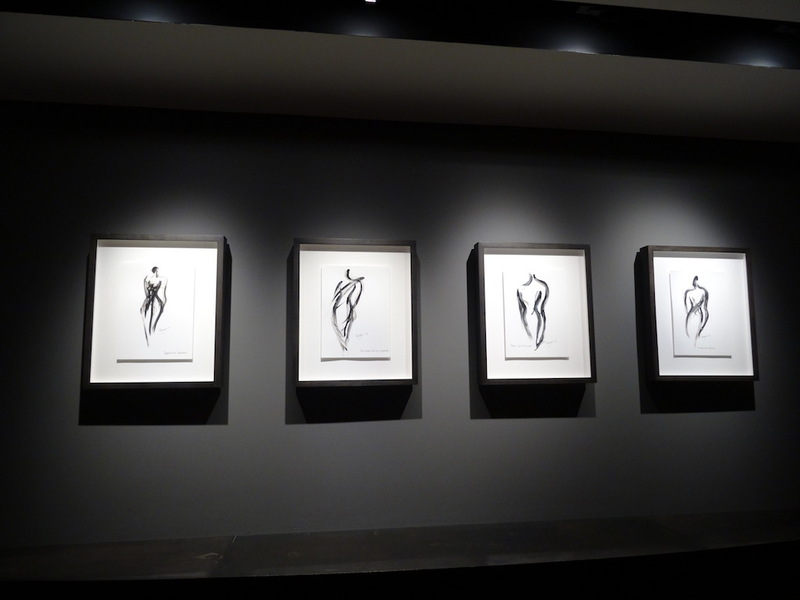 The "Body and Soul" exhibit turns the boutique hotel into an art gallery with an immersive experience where using a mobile phone or tablet, guests can listen to music by Quebec Composer François Dompierre and violinist Angèle Dubeau while discovering portraits created by Quebec designer Jean-Claude Poitras, spread throughout five floors. Read more below the photo of one of the art installations. Within the suites, guests are invited to watch "La Valise" a short film produced by the hotel, and to read "Suite Stories, The Book" featuring a collection of short stories created by 14 authors who wrote the stories while staying at the hotel. The book is also available for purchase. 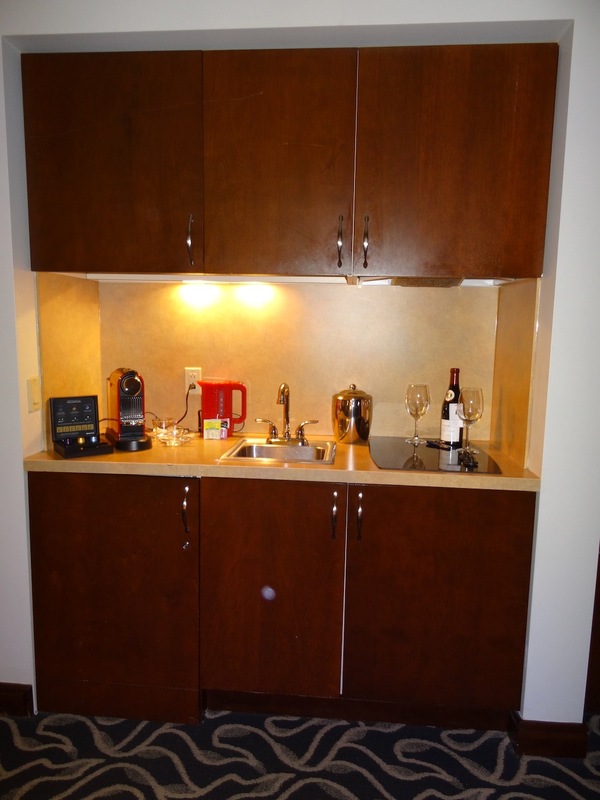 The spacious accommodations have kitchenettes with Nespresso machines, minifridges, microwaves, and sinks. There's also a full range of dishes, making it an ideal setting for travelers seeking to prepare simple in-room meals, or travelers planning longer stays. Continue reading below the photo. 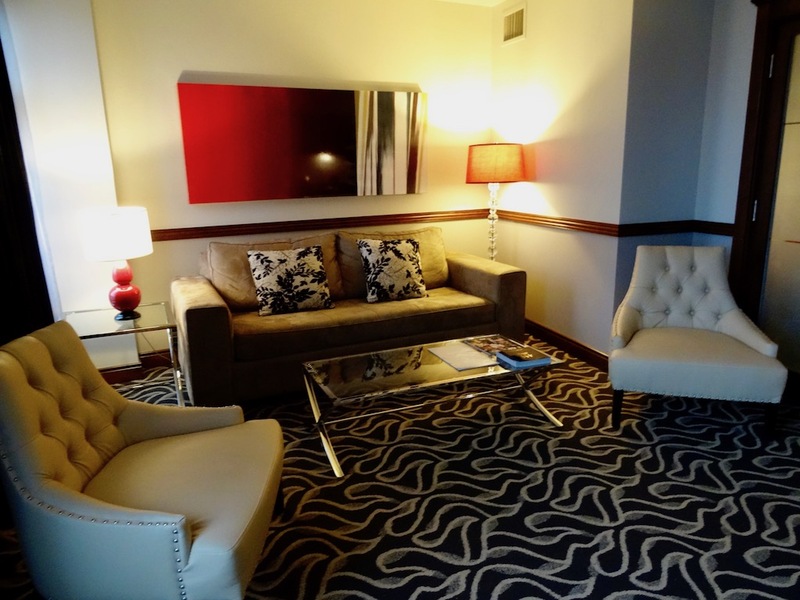 There are sitting areas with couches and coffee tables, large work desks, and French style windows that fully open to allow fresh breezes into the suites. 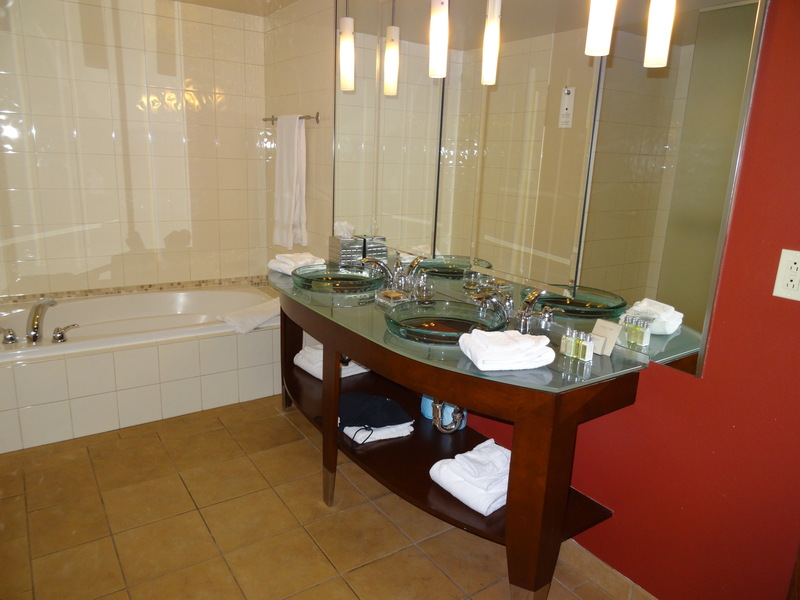 Bathrooms (which are set to be renovated throughout 2017) offer dual sinks, walk-in showers, soaking tubs, and L'Occitane bath products. 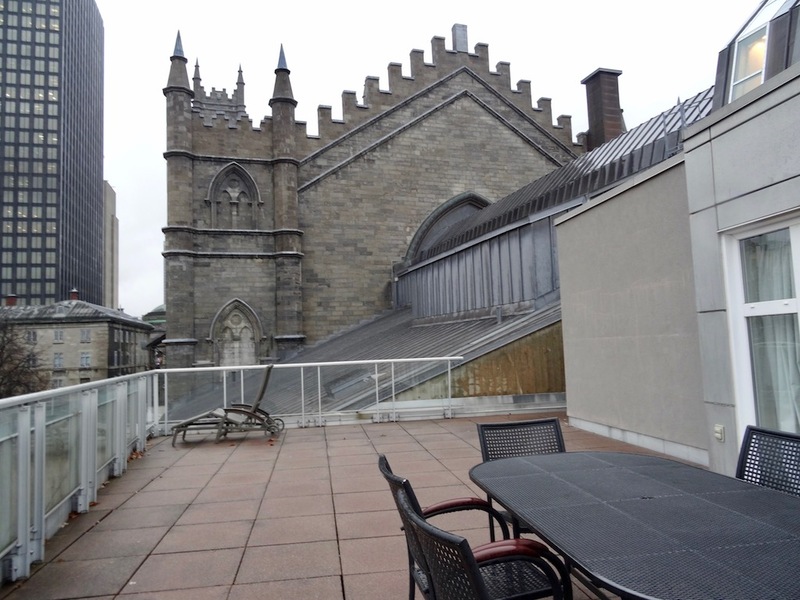 Editor's Note: For a truly unique setting, the Presidential Suite offers an exceptional space with a large living room, fireplace, and a spacious terrace with views of the Basilique Notre-Dame de Montreal. Read more after the photo. Le Saint-Sulpice Montreal has the Sinclair Restaurant with chef-prepared contemporary cuisine, as well as an outdoor terrace ideal for enjoying dinner or a weekend brunch during the warmer months. There's a lobby lounge for cocktails, and in-room dining is also available. Surrounded by cafes, restaurants, bars, shops, and historic sites, the property is an ideal setting for exploring Old Montreal.